There wasn't a unit in the Imperial Japanese Army more frightening than 731. During the second Sino-Japanese War and World War II, this was the same unit that undertook ruthless and lethal experimentation on civilians and prisoners of war to advance chemical and biological warfare. While the main camp was located in Pingfang District of Harbin, China, there were dozens of sites scattered across the empire's expansive wartime territory. And it is from this historical evidence that author Jeremy Robinson has conjured up a remote island in the Pacific to ask one terrifying question. What if one site was never found in the aftermath of World War II? By setting Island 731 within the direct vicinity of the Great Pacific Garbage Patch, Robinson creates a story out of those incidents when Japanese soldiers left on small islands would survive two and three decades, never knowing that the war was over. Island 731 plays this out on a grand scale. Shortly after discovering a floating refuse collection that spans 30 miles, the research vessel Magellan is caught in a raging storm and is almost lost as its systems malfunction. As the sun rises the following morning, the surviving researchers and crew members find themselves anchored in a lagoon on an uncharted tropical island. Their sense of security and relief is quickly shattered, however, as some crew members begin to disappear. The remaining survivors turn to Mark Hawkins, a former park ranger and expert tracker, to put his primary skills to good use. He leads a small expedition into the densely forested interior. Island 731 transforms a cautionary tale of vivisection by H.G. Wells into a freak show adventure thriller. Please don't misunderstand me. Any comparison to the classic Island of Dr. Moreau is merely cursory and expedient. Whereas H.G. Wells had a noble intent in wanting to curb the degeneration and vivisection of animals at the turn of the century, Robinson mostly wants to entertain. And that said, it ought to be no surprise that elements of mystery and morality are largely absent in this briskly paced action thriller. That isn't necessarily bad, but it does mean that sticking to the horrific and re-imagining nightmares at the hands of war criminals some 50 years after Wells has less depth. Sure, Robinson does strum a few chords about taking responsibility for the actions of others at the beginning and at the end. But at the same time, one never truly gains any sense of linkage between the pollution problem and revived war criminal science. The story is too straightforward to make the case. Suffice to say that first victims that Hawkins and his colleagues encounter are animals, creatures that have been genetically fused to manufacture something more lethal. Many seem to have their roots in mythology, mixing and matching hybrids like the legendary manticore. The deeper inside the island they go, the more grotesque the discoveries, deadly the adversaries and questionable the plot twists. 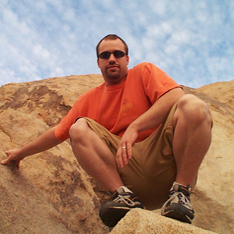 A few graphs about author Jeremy Robinson and his latest story. After growing up in the seacoast town of Beverly, Massachusetts, Robinson began a successful career as an illustrator. It wasn't until years later that he realized creating new worlds might be more fulfilling than illustrating worlds invented by other people. The transition didn't happen over night. Like many authors, Robinson self-published his first book, The Didymus Contingency. It was republished a year later by Bard Publishing, which was the same year his second novel, Raising The Past, was published by Breakneck Books. Since, he has published dozens of books while continually trying to help would-be authors along the way. Island 731 By Jeremy Robinson Cuts 4.8 On The Liquid Hip Richter Scale. As a straightforward action story with a near flawless hero to help others along, Island 731 mostly works. What doesn't work is the thin and unconvincing romance that develops as the characters are cast into an endless loop of discovering and escaping one monster after the next, each progressively harder to beat. In this case, the concept is cooler than the telling but the book won't put you to sleep either. 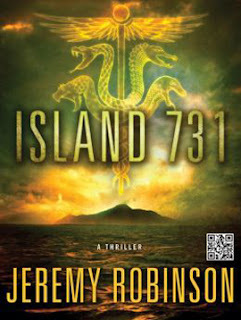 Island 731 by Jeremy Robinson can be found on Amazon. You can also find the book at Barnes & Noble or download it for iBooks. The audiobook is narrated by R.C. Bray, who does a fine job even when it amplifies how unaffected Hawkins seems by what he sees. Robinson is surprisingly accessible on Facebook and Twitter.